BIG REDUCTION!! Rare Opportunity! Deep Water Single-Story Duet with Large Deck & Dock Plus Quick Access to Miles & Miles of Delta Waterways! 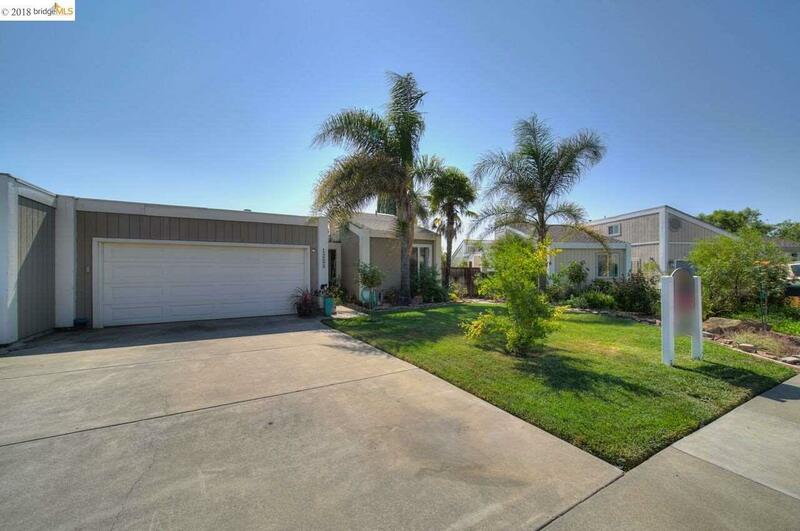 This Charming Home Offers 2 Bedrooms + 2 Full Baths + 2 Car Garage + Side Patio and Yard! Interior Boasts Tasteful Finishes Throughout, Including Granite Counters, Tile & Hardwood Floors, Updated Baths, Spacious Family Room with Cozy Brick Fireplace, and Glass Sliders Exiting to the Rear Deck from Family Room, Kitchen and Master Bedroom! This Home also Features a Light & Bright Open Floor Plan with Vaulted Ceilings & Skylights, Plus Spectacular Views of the Water, Mount Diablo & Breathtaking Sunsets! Very Close to Fast Water!